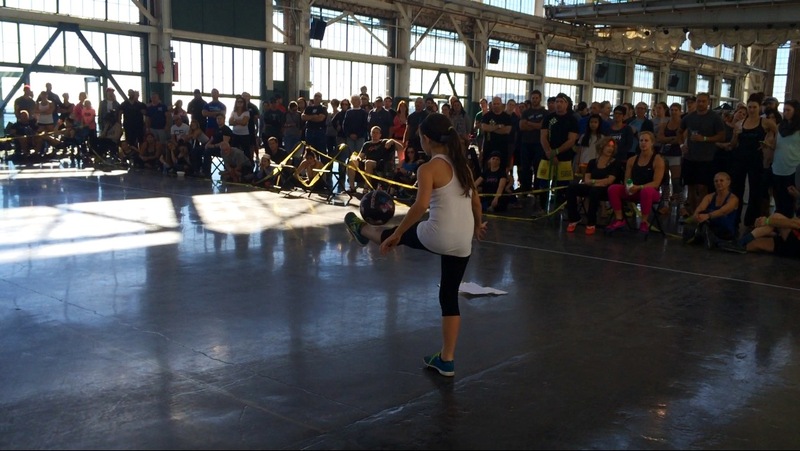 I JUGGLED TODAY AT A FITNESS COMPETITION AND PEOPLE DONATED $753 for St. Jude! My parents put on a competition every year called the NorCal Masters, where athletes 40 and older compete in fitness events. This year there were more than 200 athletes who participated, and I juggled a couple of times for them before collecting money. Thanks to the generous people at the competition, we raised $753 more for St. Jude today! Everyone was so nice to me, too! My parents are going to donate even more money from the spectator tickets they sold at the event, so that’s really great news, too! As of now, my total is more than $34,000! I can’t wait to get my friends and other soccer players involved in Juggling for Jude. We will have some announcements about that soon. Thanks to everyone who donated at NorCal Masters today! You’re all amazing! 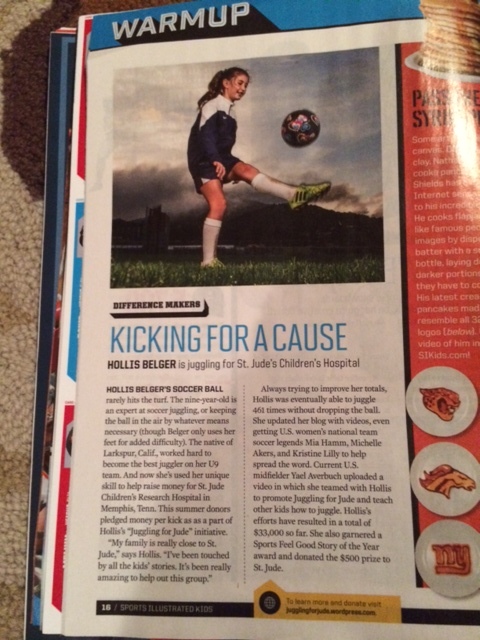 My First Magazine Article: Thanks to Sports Illustrated Kids for Featuring me and Juggling for Jude! 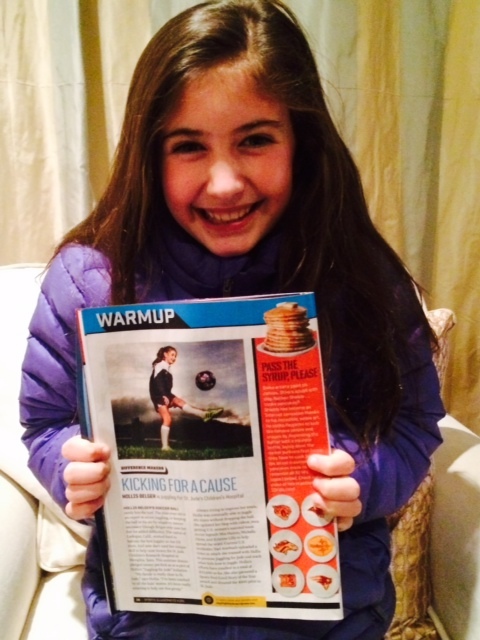 It has been awhile since I finished my juggling, but there’s an article in Sports Illustrated Kids Magazine this month (Jan/Feb) all about Juggling for Jude! I’m so thankful that people are interested in my story, because I think it could lead to more money for St. Jude Children’s Research Hospital when we do it again with more soccer players next summer. 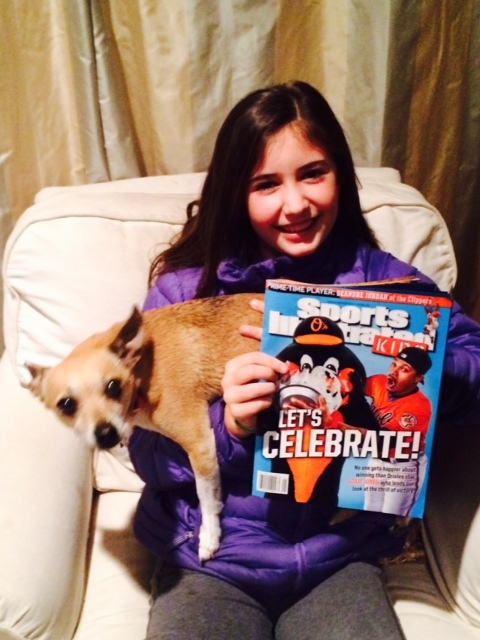 I’m on page 16, so check it out!